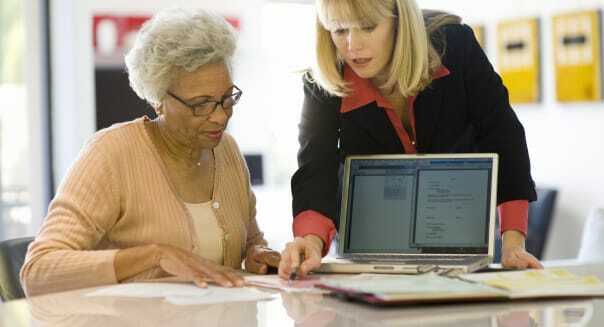 Getty ImagesA professional can help you avoid spending too much or becoming unnecessarily frugal in retirement. Financial advisers have a bad reputation in many circles, because some of these professionals are simply interested in taking your money. Yet, a competent manager can be worth many times the cost. Here's how a financial adviser can help you throughout your retirement years. Crisis management. Transitioning the day to day management of your financial portfolio to your spouse or heirs will be seamless if you already have a financial adviser. I love thinking about my portfolio, and I believe no one can manage our family's assets more efficiently than I can. But our finances will be managed haphazardly if I suddenly fall ill and cannot manage our portfolio. My wife has absolutely no interest in figuring out all the jargon on her own, so it's better for us if I find someone who can competently carry out our investment strategy while I'm still able to just in case something happens to me. Someone else to crunch the numbers. You probably want to focus on something else in retirementthan thinking about the numbers all day. Retirement can be fun when you get to spend all of your energy on something that makes you happy. If portfolio management doesn't excite you, then getting someone else to think about it for you is a good idea. You can outsource a job that doesn't interest you, just as you might hire a house cleaner or gardener. The convenience can really enhance your quality of life. Guard against cognitive declines. Even if you are a wealth building expert, you may not be able to properly manage your portfolio one day in the future. You could experience cognitive or physical declines or other health problems that render you unable to properly manage your money. You may think it's too early to find a third party to take care of your assets now, but it may be too late once you realize something is definitely wrong. A second opinion on your spending plan. The accumulation phase of retirement planning is straight forward for many people: Save aggressively, have a solid investment plan and stay the course. But spending down assets is an art as much as a science. Many people have trouble spending down their portfolio in retirement and end up skimping on their lifestyle because they fear running out of money. A well trained financial adviser can bring much needed comfort, because he can help coach you on how best to deal with seeing a smaller portfolio balance on a continuous basis. A voice of reason. A financial adviser can help to keep you from selling low in a panic once you no longer earn a salary. It's one thing to hold onto stocks during a financial crisis when you have a stable job, but it's an entirely different scenario if stocks plunge 60 percent with no end in sight when you are retired and need that portfolio to hold up to a few decades of withdrawals. Far too many retirees bail out of stocks in every bear market. If a financial adviser is able to convince you to stay the course next time the markets drop, then she would have earned her pay many times over. Financial networking. A financial adviser can refer you to other financial professionals. You might need a lawyer to discuss how much liability you need to insure against, a certified public accountant to work on your taxes and an estate planner to update your trust documents. Finding the right person to handle your needs can be a tedious process. Your financial adviser, who already knows your situation well, can save you time by referring you to someone who already deals with clients who have similar levels of assets and concerns as you.